Everything you need for another great day of diving in Curacao. 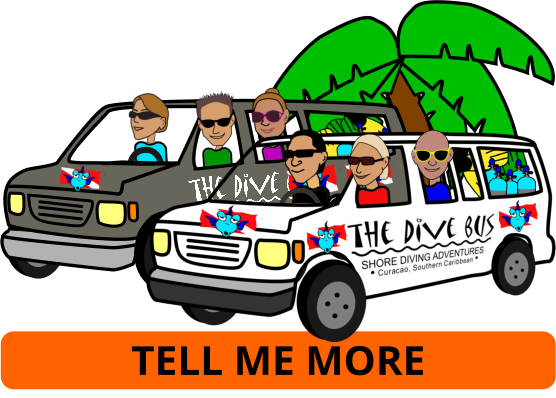 Welcome to The Dive Bus retail shop. With airco (! 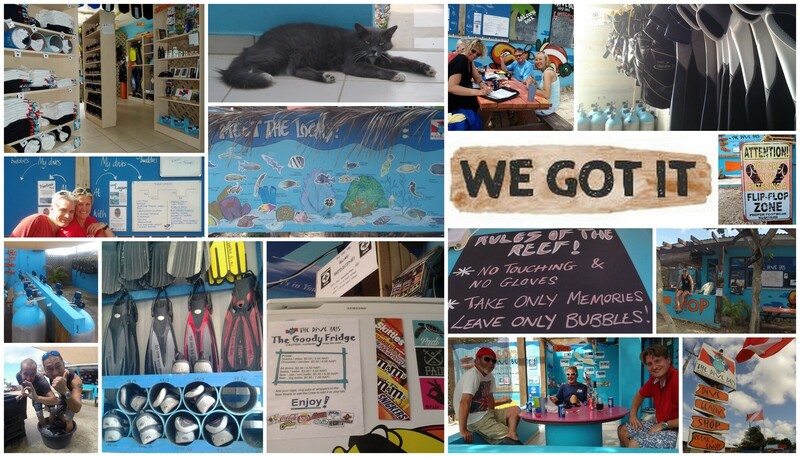 ), excellent dive equipment and accessories, really useful stuff for your shore diving adventures , fun Dive Bus stuff and the Beer ‘n’ Goody fridge, it’s a popular place. Outside, there are plenty of chill-out spots as well as the almost world famous Dive Bus Tiki Toss. So whether you’re on your surface interval or done divin’ for the day, grab a cold one from the Goody Fridge and feel free to relax, enjoy and make yourself at home.